The Venturi Model VISSL (Insert Type Classical Venturi Design) is a Hershel/Classical design differential pressure flow device. 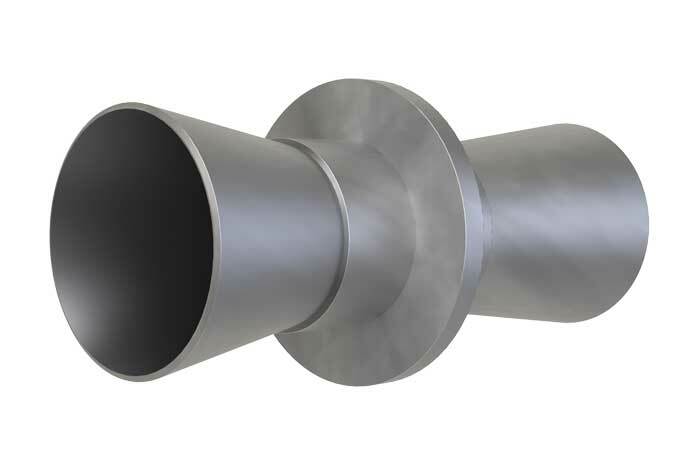 The insertion style meter adds only the thickmess of the meter center flange to the overall length of the pipe. The Venturi flow meter restricts the flow at its throat, increasing the velocity of the fluid, and measures the pressure difference of the unrestricted flow and restricted flow. The meter's throat can be designed to meet the flow measurement application optimizing the meter's accuracy and permanent pressure loss. A venturi provides longevity, reliability and long term performance.